Mansfield Town fans were sent wild as the Stags fought back from 2-0 down at promotion rivals Colchester United to win 3-2 with three second-half goals. Photographer Steve Flynn captured some of the celebrations among the supporters as the half wore on. Mansfield Town manager David Flitcroft celebrates his side's great comeback win after the game. 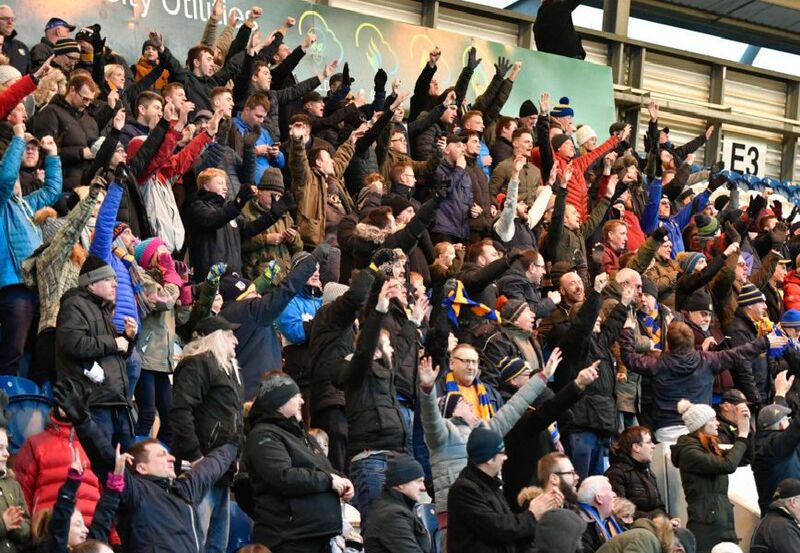 Stags fans celebrate Mansfield Town's remarkable fightback to win 3-2 after trailing 2-0 at half-time. Stags fans enjoy the elation of a vital away win and the dramatic comeback at promotion rivals Colchester. Thumbs up for promotion from these Stags fans at Colchester.